Only a small group of people stood outside the Wicomico County (Md.) Courthouse in Maryland on May 16, but that didn’t bother Larry Lane Hugee. After nearly 10 years of being wrongfully imprisoned for armed robbery, Hugee had the opportunity to hug his grandchildren for the first time. For his stalwart attorney, Michele Nethercott, director of the University of Baltimore’s Innocence Project Clinic and adjunct faculty, it was a chance to breathe. Nethercott, a native of Canada and an attorney at the Maryland Office of the Public Defender, began working on Hugee’s case even before the Innocence Project Clinic began operating in 2008. A collaborative effort between the UB School of Law and the public defender’s office, the clinic not only has helped dozens of wrongfully convicted people during the past four years but also has exposed UB law students to the real world of criminal law. Reviewing the documents in Hugee’s case revealed too many discrepancies for Nethercott to ignore. According to her, “There were a lot of disclosure issues with the whole thing,” including missing facts about a key witness and a lack of DNA testing. The case against Hugee didn’t make sense, so she got to work. 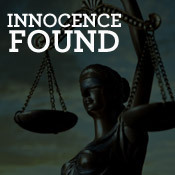 During the case, Nethercott worked through the Innocence Project Clinic with numerous UB law students, who interviewed witnesses, conducted investigations, drafted pleadings and assisted Nethercott in compiling enough factual evidence to secure Hugee’s freedom. Nicole Reagan is a graduate student in the Publications Design program. Six UB student entrepreneurs board the Pitch Across Maryland bus to present their ideas to venture capitalists. From professional acting to lecturing to radio broadcasting, M.F.A. student Judith Krummeck does it all. On or off the basketball court, Myra Waters, director of UB’s Counseling Center, makes a difference in students’ lives. 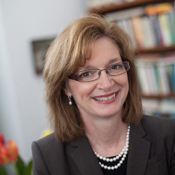 Meet Laura Koppes Bryan and Ronald Weich, UB’s newest deans.